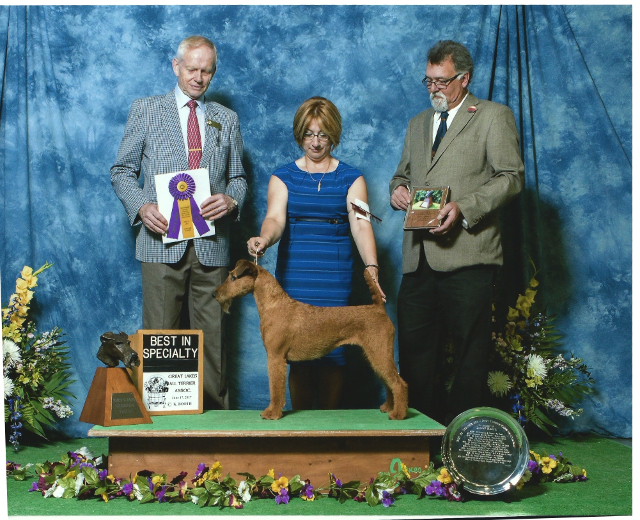 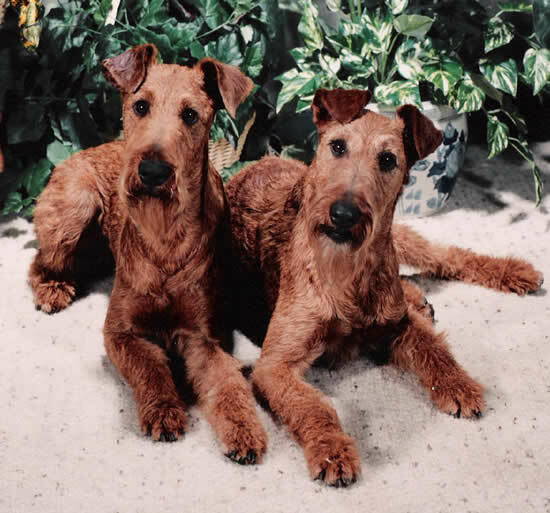 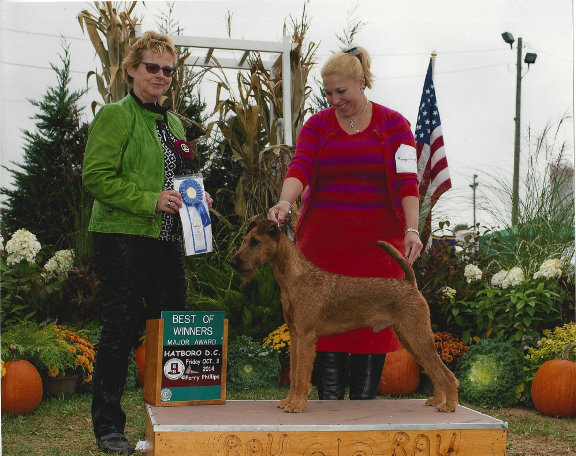 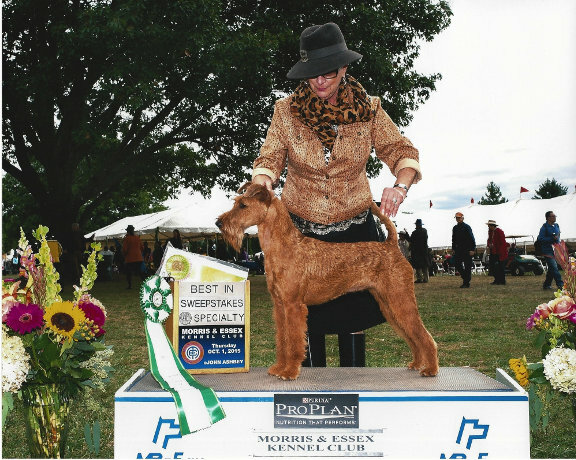 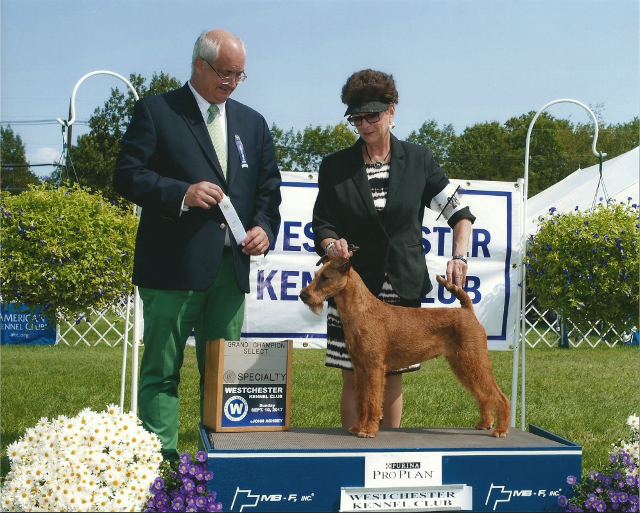 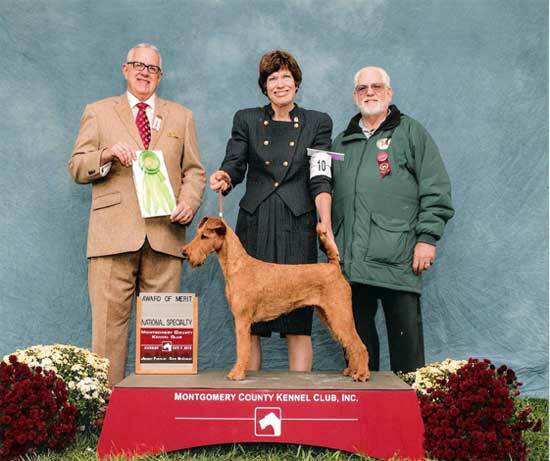 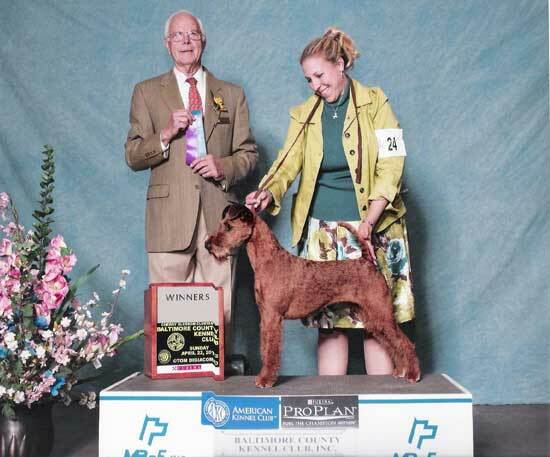 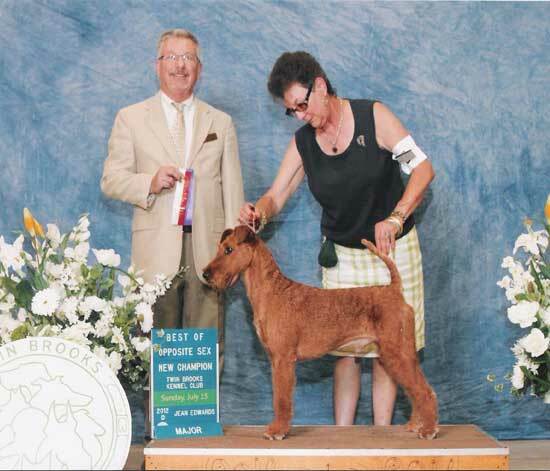 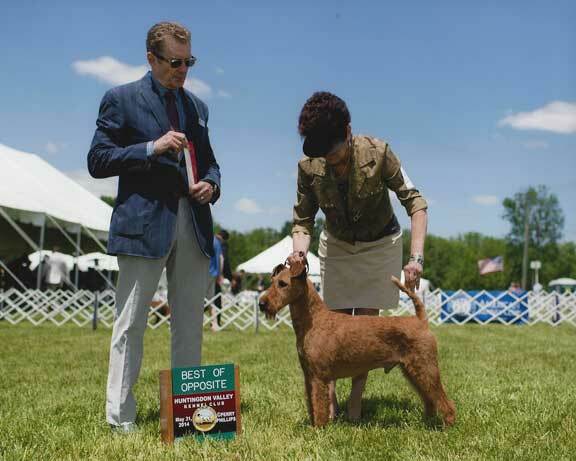 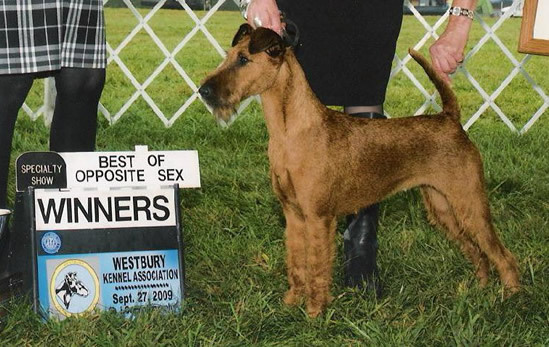 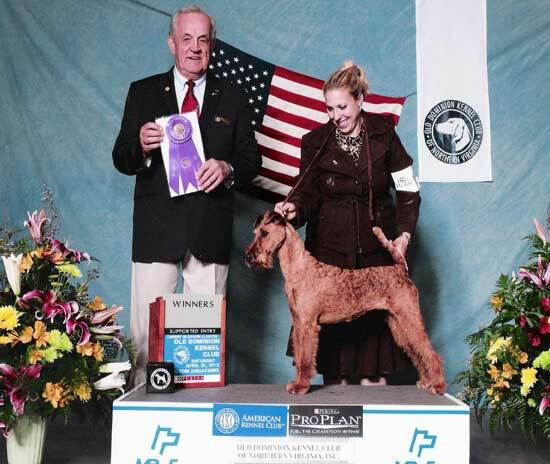 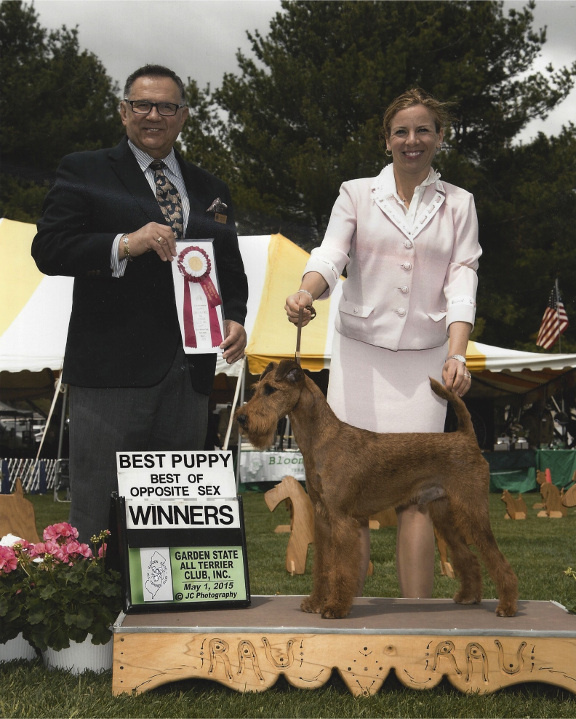 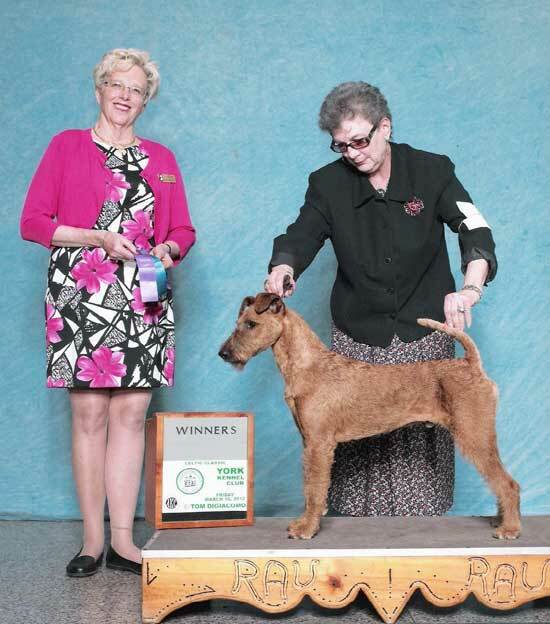 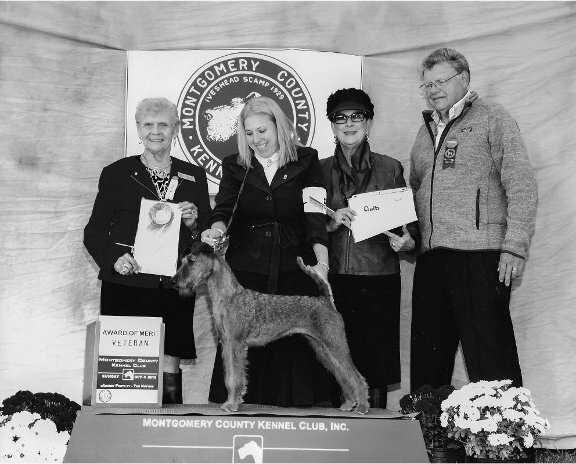 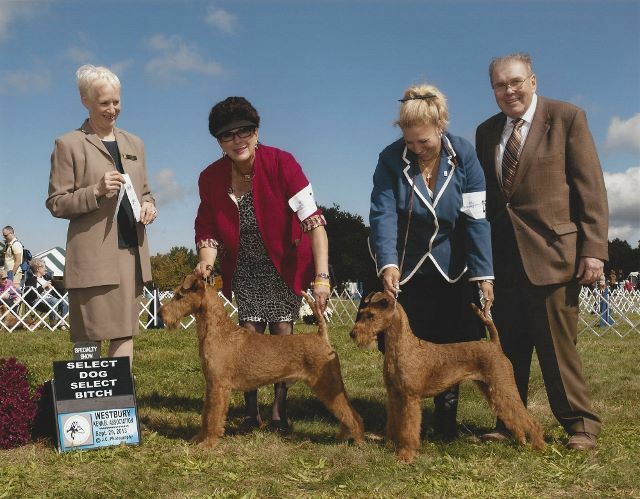 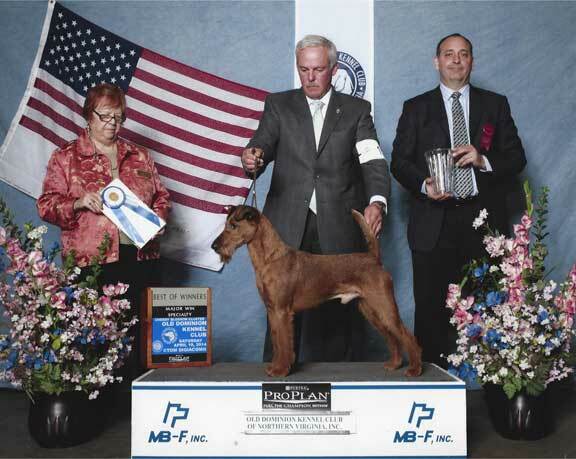 GRAND CHAMPIONS, Riley and Nora completing their GCH. 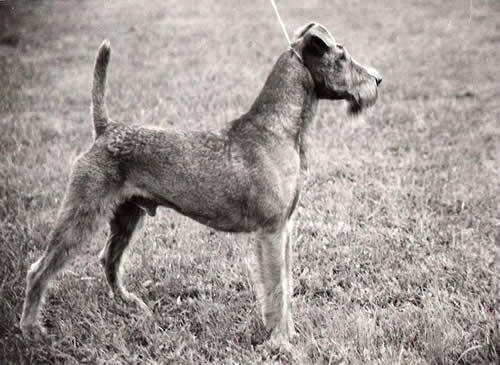 on the same day! 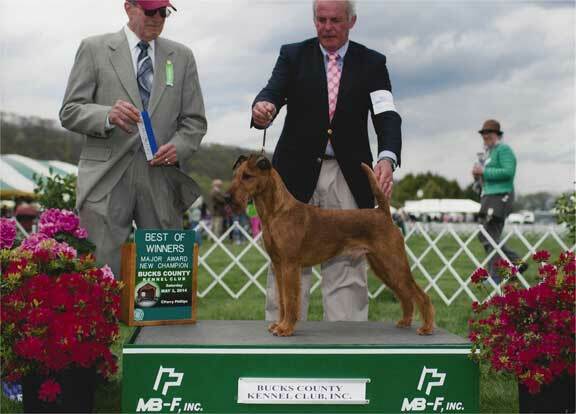 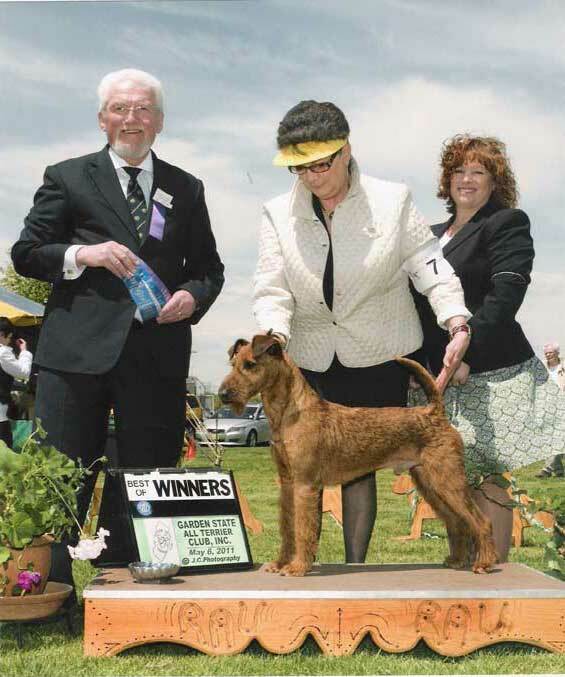 Irish Rose Coco Scolaidhe's Cormac O'Arran Isles strutting his stuff at The National Dog Show - 2014.